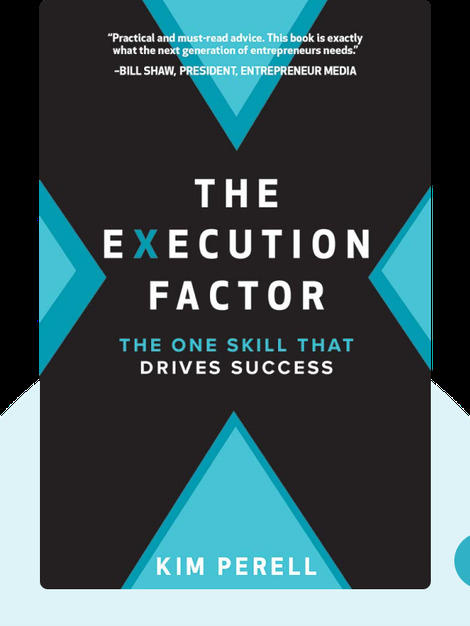 The Execution Factor (2018) identifies five traits shared by people who know how to effectively accomplish their dreams and goals. 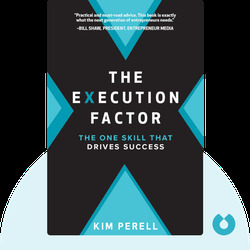 By sharing general principles and specific tips on how to cultivate them, Kim Perell demonstrates how to transform yourself into just such a person. Kim Perell is a highly successful entrepreneur, executive and angel investor who became a multimillionaire before the age of 30. She has been dubbed one of the Most Powerful Women in Mobile Advertising by Business Insider, a Marketing Technology Trailblazer by AdAge and an Entrepreneur of the Year by Ernst & Young. She is the CEO of Amobee, an innovative global-marketing technology company.